Update, July 22nd 2015: We completed this camp day today! 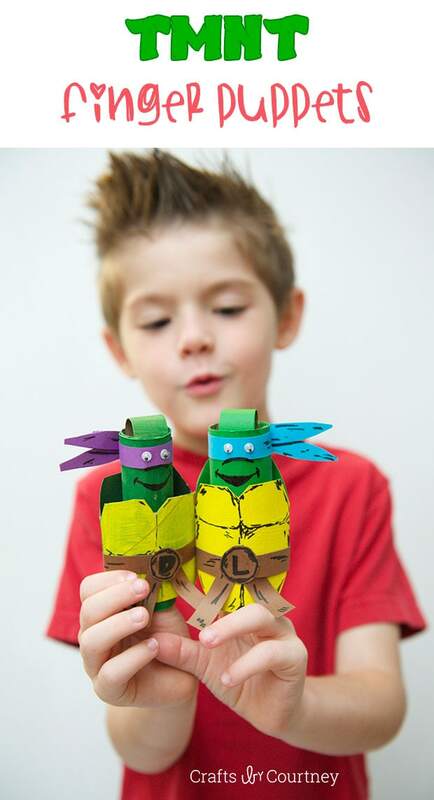 And above are our Ninja Turtle Finger Puppets! We didn't have time to role-play or lapbook. But we had fun! Let me start off with, this is just 1 day plan for my summer camp. I am starting slowly but surely to plan my 4 day camp but for 3 different schools (repeat my camp lessons of course). I have been told to use a textbook made by the education office. And it is not bad, it has some good books and lays out the key phrases and vocabulary to match the book. And I love reading and promoting reading in the ESL classroom so I'm actually quite happy to have a textbook to refer to for this camp. 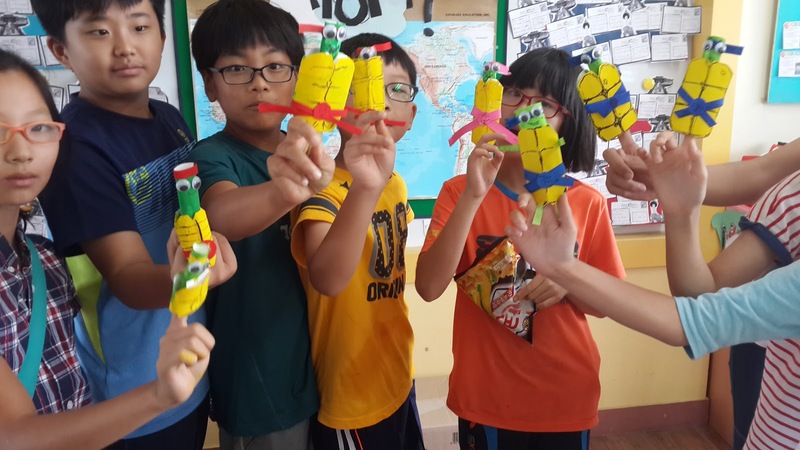 However, I don't want my students to touch a textbook during camp as camp is about being fun and crafty and silly and learning English at the same time. 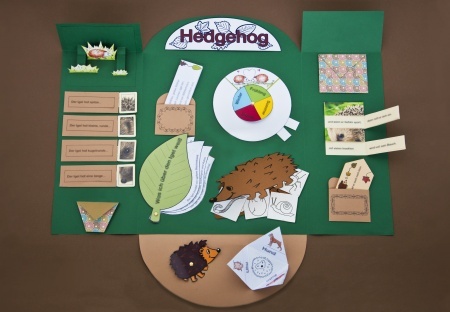 You can download the entire lesson plan and power-points from my teacherspayteachers site free! So day 1, I decided, will hereby be known as "Ninja Day". This day is more so tailored to grades 5 and 6 but you could easily change it up a bit to suit grade 3-4 by taking out some vocabulary and minus a game or 2. This day goes with the book "Where is the green sheep?" by Mem Fox. And of course "Where is the green sheep?" / "Here is the _____ sheep." Notice a few of these are opposites or closely linked, so they're not too difficult to communicate. Activity 1: Read the book. You can probably find a copy online... or just write it down from the video. I have the book at school luckily. Next, we listen to the "Where is the Green Sheep?" Song. And then, game time! Four Corners - the non-writing version. This game, if you haven't played before is super simple. 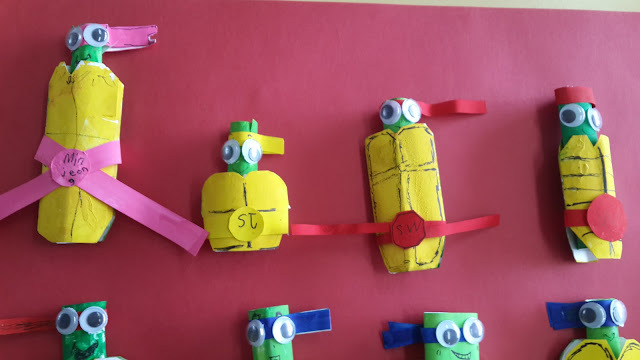 I've made it more intellectual instead of guessing - the students must rush to the corner that has the correct answer according to the text -Where is the Green Sheep? 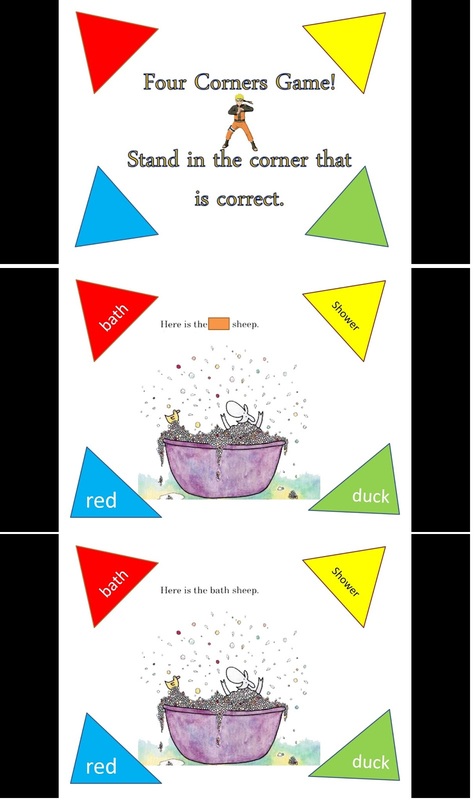 As you can see "bath" would be the right answer, so they should stand in the red corner of the room. You can label your corners or just let them know beforehand. Worked fine for me in the past just to point the corners out in the beginning. I also ask the students who get it correct to read out the full sentence. And I will count down from 10 or 5 depending , to get them to get there fast. More of a game that way. After, we play - "Where is the ninja turtle?" 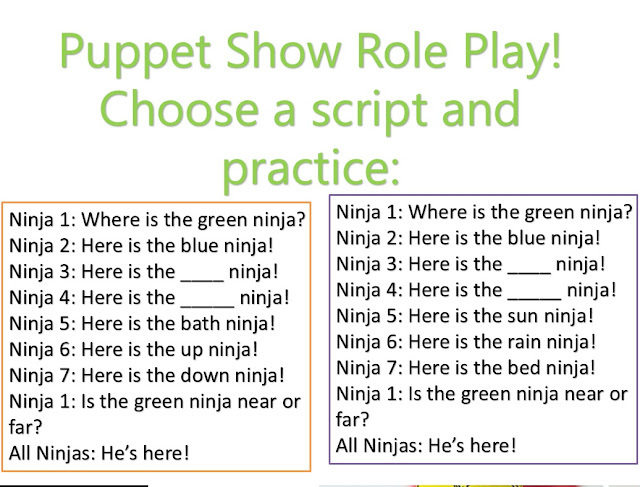 - practices the "Where is the" sentence and brings back our Ninja theme. This is nice to review places in the house as well, which we cover in grade 4 and 5. You should separate the class into teams, 2 if small, 4 if bigger. The first team to have their chosen scribe write the sentence the fastest on a paper or whiteboard (mini) earns a point. You can delegate different scribes each round, but this is up to you and how you know your class. Tip: spell out the house room names on the board someplace for spelling reference throughout the game if they need it. Craft, we make ninja finger puppets! 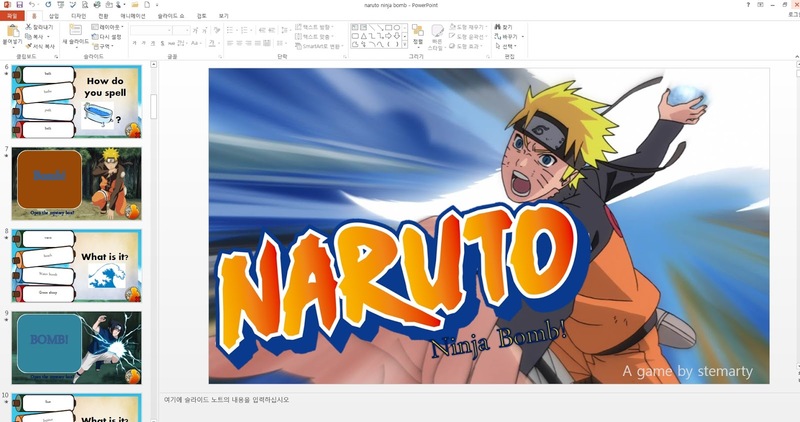 In my PPT it explains it step by step for the kids, in basic English with pictures. The last slide leads on to the next activity, puppet shows! 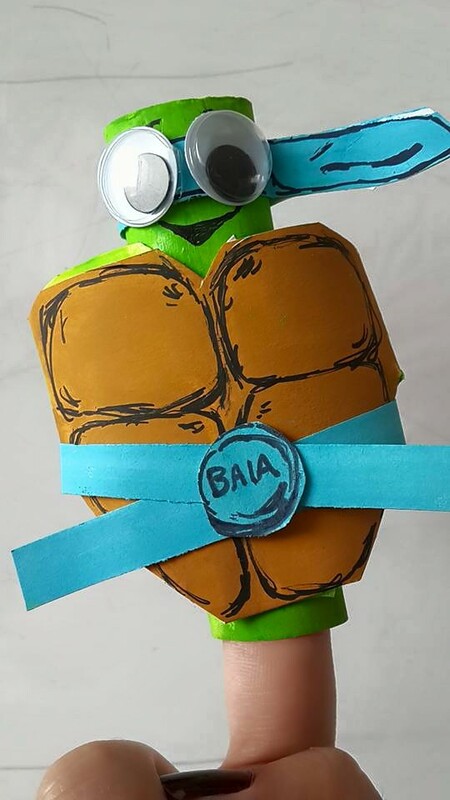 This is my demo puppet! haha, my googly eyes are a tad big but I think it looks cute! I didn't use toilet rolls for mine, just rolled up card I had and painted it. 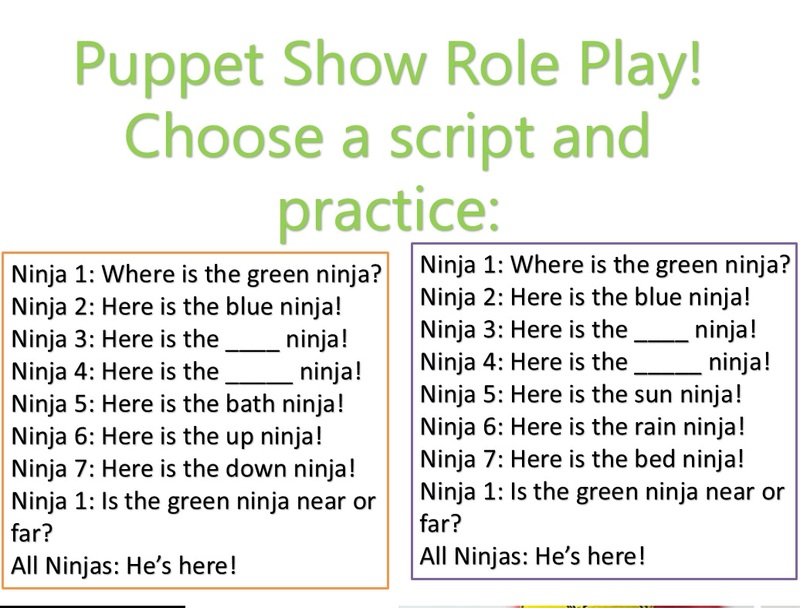 Puppet Shows - A way to role-play the sentences learnt during the day. 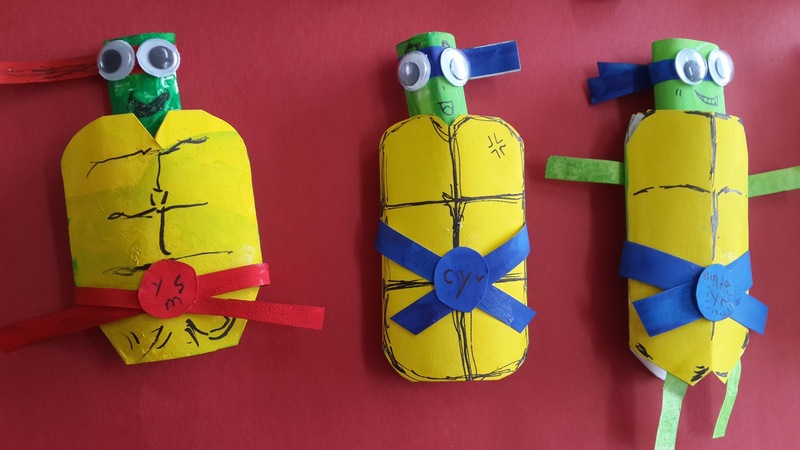 In the PPT I tell the class that everyone should try and have a different colored belt so that these role plays can work better, as the blanks refer to colors of the ninjas. 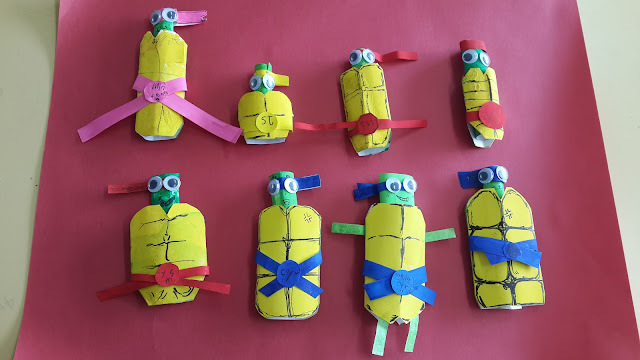 But they are free to be creative and come up with different names such as "bath ninja" " flying ninja" etc. Students in groups or as a whole class (depends on size) choose one role play and then practice and act them out. This compliments the "Where is the Green Sheep?" book and practices the vocabulary and sentence structure. And it should be fun to act with their puppets. It's also a good idea if you record them. You can have little bath, sun, rain, bed , up and down props if you like also. For this summer camp I've decided to make lapbooks so we have a little reminder of what we did during our camp. So for this day we will finish with a simple lapbook pentagon flap template where students should draw and write 2 sentences about 2 original sheep that they can come up with. This follows along the book once again and the vocabulary they learnt. 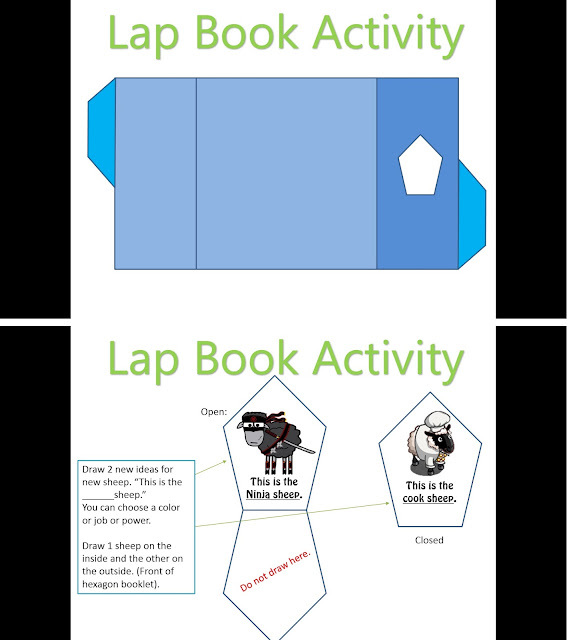 Every student will receive a hexagon template to stick on their lapbook. As you can see, my chosen sheep are the 'ninja sheep' and the 'cook sheep'. I don't own this template or claim to have designed it, I found it on Waygook - thanks to the original poster! I've changed it to match the "Where is the Green Sheep?" book and other vocabulary covered in this camp day. It's got great graphics and some music. Love it. Awesome design.